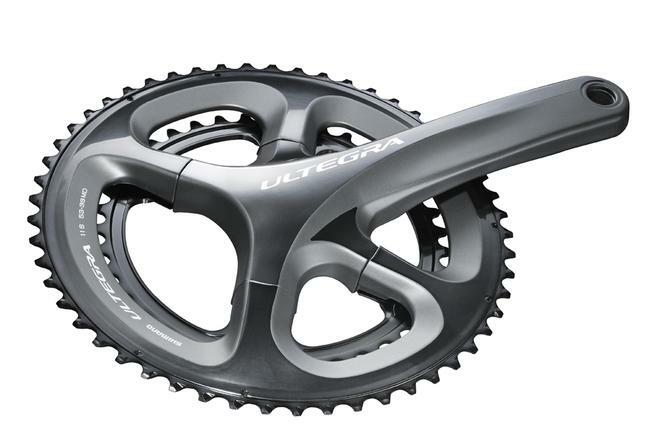 For 2014, Shimano has released their Ultegra 6800 11-Speed Groupset. Dave Atkinson of road.cc interviewed Shimano's Mark Greshon. 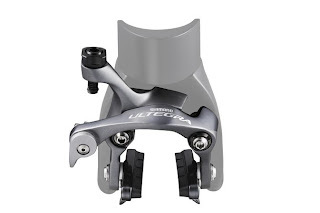 He has this to say about the new group: "Ultegra normally takes the latest technology from Dura-Ace and provides it at a much more competitive price. It's for real world riders who want good performance." 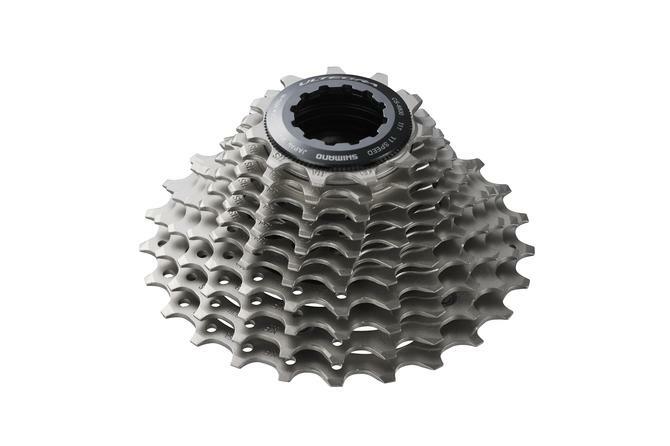 The 11-speed phenomenon with Shimano's engineering power to create this new system that "uses technology that's been proven in WorldTour races, proven at the highest level." Riders can individually choose from a large variety of gearing options for all kinds of riding. You have the choice between a 11-23 and an 11-32 cassete, and chainring combos include 53-39, 52-36, 50-34, and cyclocross specific 46-36. 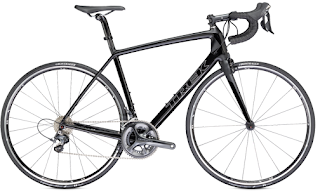 The 6800 crank shares the same 4 arm design as the Dura-Ace in this category. The brakes feature the same two axle symmetric pivot design as Dura-Ace as well, an improvement that Shimano claims increases power by about 16 percent. They are available in both a traditional and a direct mount version. Using a shorter lever stroke which Shimano claims requires 35% less force input, gives tactile feedback to the rider that the shift has been completed. A defined *click* sound will ensure you that the gear has shifted. 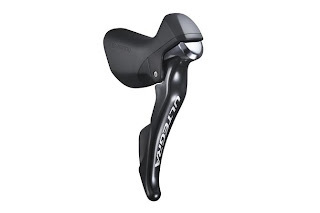 Improvements on ergonomics and control come from the more compact hoods and bracket grip, as well as a redesigned carbon lever. 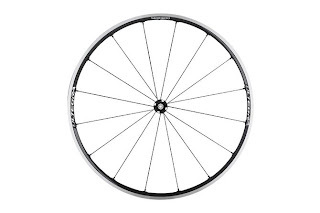 The new wheel on the 11-speed level is the WH-6800. 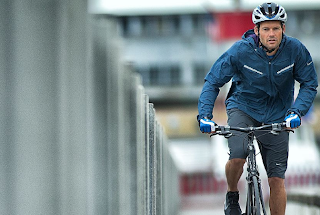 The wheel is lightweight on an offset rim for high rigidity and power transmission. Compatible in tubular, tube, and tubless setups. As with all Shimano wheels, the WH-6800 is 100% in-house produced and hand assembled. 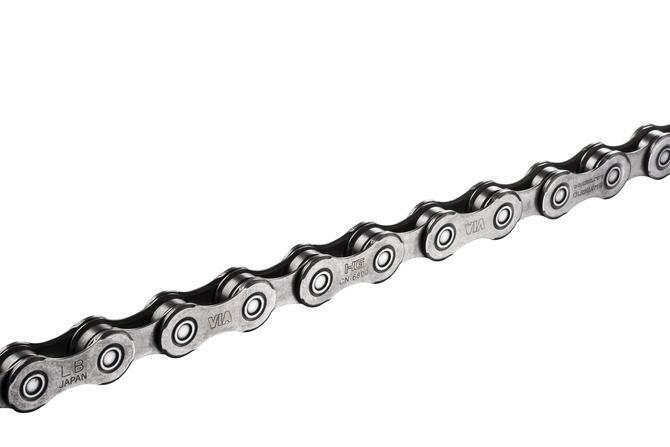 The chain has also been redesigned for 11-speeds, and is coated with new surface technology called Sil-tec: an advanced surface painting technology adds a low friction surface treatment that runs smoother and lasts longer. 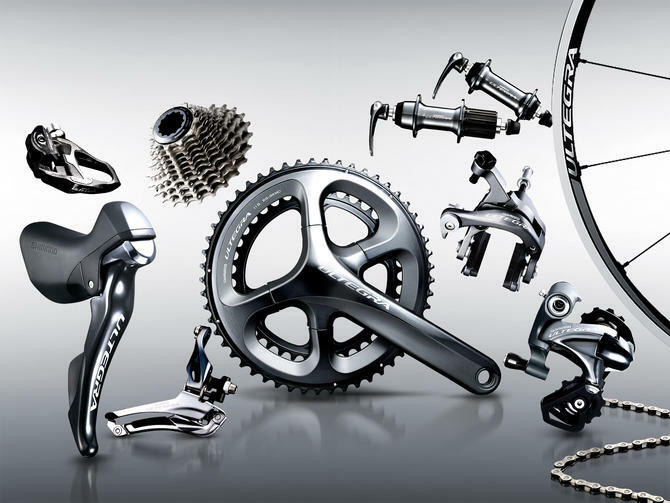 All in all the new groupset is 35g lighter, and 100% improved.